Ilhwa extracts and condenses ginseng using unique processes before infusing the product with vitamins B and E. This ginseng supplement is produced in tablet form for easy consumption while maintaining high efficacy. 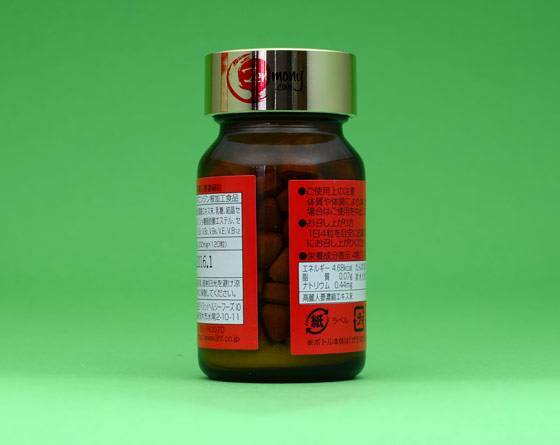 Ilhwa Ginseng Capsules (Condensed) is a drinkable health supplement made with condensed Asian ginseng extract. Asian ginseng has been a well loved quality supplement in Korea and China for more than 4,000 years. The skin of the ginseng root is abundant with saponin. Ilhwa uses the full ginseng root, including the skin, after it has been left to absorb nutrients from Korean soil for 6 full years. 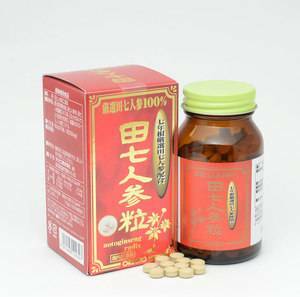 It is then treated with a low temperature low pressure extraction process resulting in a flavorful condensed extract that is then converted into a powder easily taken even by persons who dislike the taste of ginseng. 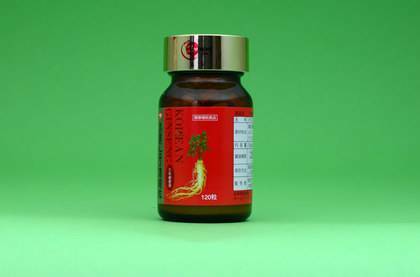 One serving contains 720 mg of dried ginseng. Each package contains 120 tablets. Suggested Use: take 1-4 tablets daily with water.